Intermittent turbulent bursts have great impacts on sediment resuspension in coastal regions, tidal estuaries, and lakes. In this study, the role of turbulence structure on sediment resuspension was examined at Meiliang Bay of Lake Taihu, the third largest freshwater lake in China. The instantaneous three-dimensional velocity and suspended sediment concentrations were synchronously recorded by Acoustic Doppler Velocimetry (ADV) and Optical Backscatter Sensor (OBS) placed close to the lakebed. 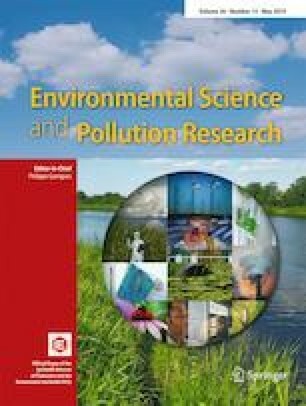 Statistical and quadrant analyses results revealed that the coherent structure contributed significantly to sediment particle entrainment. The intermittent burst events (dominant ejection and sweep) were the main energy source for sediment resuspension processes. 99.2% of turbulent sediment fluxes were triggered by ejection and sweep events, whereas the contributions coming from the outward interactions and inward interactions were relatively small. The large-amplitude burst events in the coherent structure dominated the influence on the sediment diffusion. Additionally, it was found that instantaneous sediment particle entrainment occurred earlier than the mean critical shear stress, which was induced by the stochastic nature of turbulence. The amount of sediment flux considering the turbulence characteristics was one or two larger magnitudes than the flux amount assessed by the time-averaged flow field, which indicated the critical shear stress approach might underestimate the sediment resuspension. Therefore, the influence of turbulence performance on sediment entrainment shall be seriously considered when evaluating sediment flux and internal nutrient loads in Lake Taihu. The research was supported by the National Key R&D Program of China (2017YFC0405203), Fundamental Research Funds for the Central Universities (No. 2017B20514), Chinese National Science Foundation (51809102, 51579071), Fundamental Research Funds for the Central Public-Interest Research Institute (PM-zx703-201803-081), and the Major Science and Technology Program for Water Pollution Control and Treatment (2017ZX07202006-002).